Schools that collaborate often make the best savings. When piloting Smart Ordering, Alison Deadman, SBM at Windrush Primary School, was hoping to save her school time. Following the pilot, Alison worked with 10 other local schools, using their combined purchasing power to strike a deal that also saved them all money. “You have to know what to say ‘no’ to. Sometimes the smart thing to do is to say ‘no’” says Samantha Crane at Tudor CofE Primary School. A package of online tools with added integration with financial management systems (Smart Connect), Smart Ordering transforms a school’s office with a smarter way of purchasing. 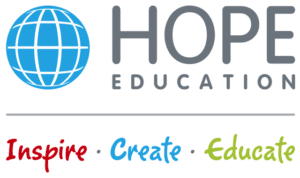 Created by Hope Education and GLS Educational Supplies, in conjunction with SBMs, it takes functionality of online retail shopping and adapts it to suit the education sector, aligning it with school processes to provide audit trails and workflow functionality. Gone are the days of hand-written notes, rekeying orders and typing in individual product code.